Thoughts from a Traveling Tech: Good morning, Montana! Good morning dear readers. Been a while since I posted, and for that I apologize. 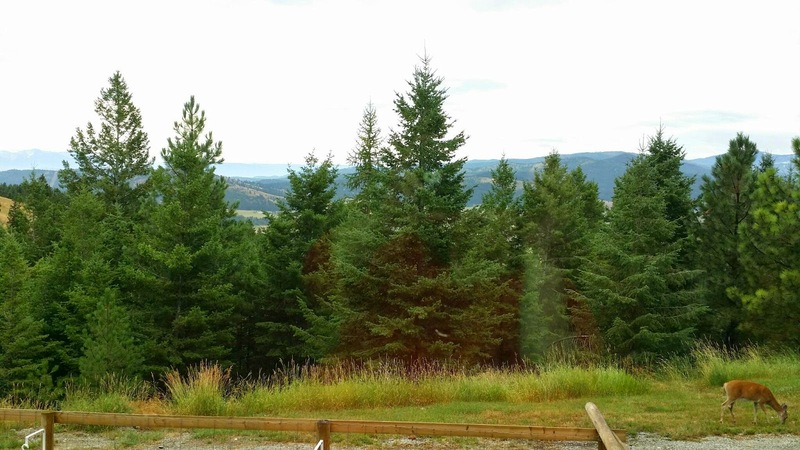 However, I am on the road for vacation and currently staying at a friends house outside Kalispell, Montana. As you can see from the picture it is a great view and if the sun ever comes out it will be a beautiful view. If Mrs. Z were more outdoorsy, and the job allowed me to move, I would be ready to move up here it's just that beautiful. More pics and such to come.